Today was a tough day… very very mentally draining at my work. Its like I am juggling 100 balls at times in trying to remember all the things that I have to remember to do and remind other people to do. Lately I don’t cope so well with it. It makes me race on the inside, I don’t like it, and I don’t see the end in sight, which is the nature of my job but some days I wonder how will I keep up? Today I also had a lot of things on my mind. In particular someone that I was praying for. I had one of those days that God was in the forefront of my mind, despite my stress levels. Every time I took a little break I was praying and talking to God… and I could hear him… giving me His words and His wisdom. Verses started coming to me… just the ones that I needed, I was amazed and blessed, the verses I needed according to the prayers that were in my heart. He was giving me the promises to claim for this prayer need. I praised Him as I walked around, and did my work, and in those spare moments that I had to myself I praised Him and it was such a joy… Talking to Him through the day was like life to my body soul and spirit. Ask Him to speak to you and ask Him to give you ears to hear what he is saying to you and showing you… He will… and despite the stress you might be going through at the same time it will revitalise you. His Word is life. Do not doubt it and do not brush it off. His word creates framework for change to be built on. Speak to Him, speak His Word, hear His words. 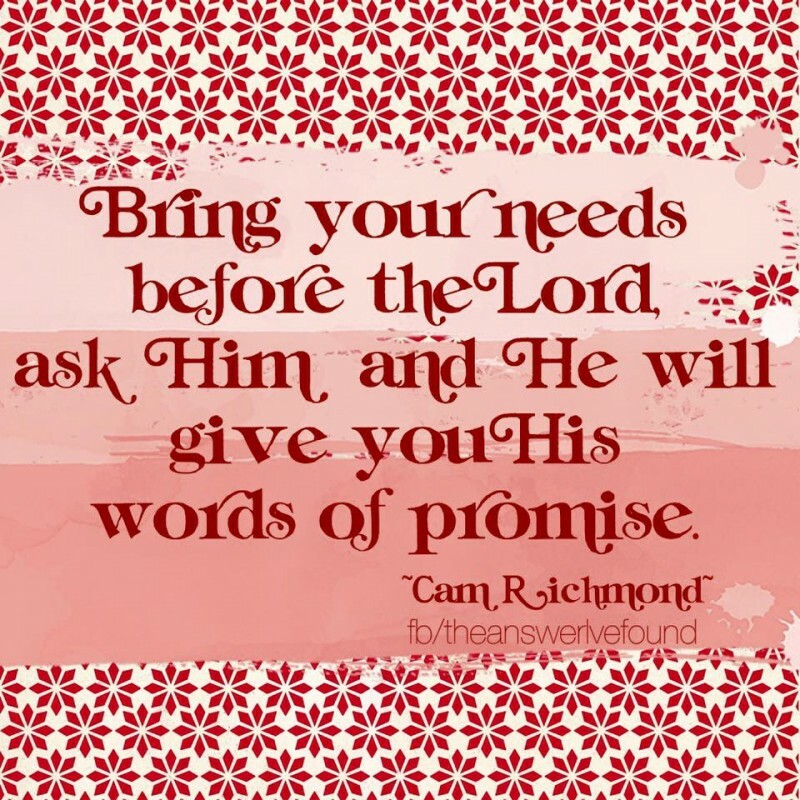 assurance, Bible, faith, hope, life, listen, Prayer, praying, promise, Word. Bookmark. His word is love; His word is light; His word is comfort. Lovely lovely lovely Susan! Bless you!